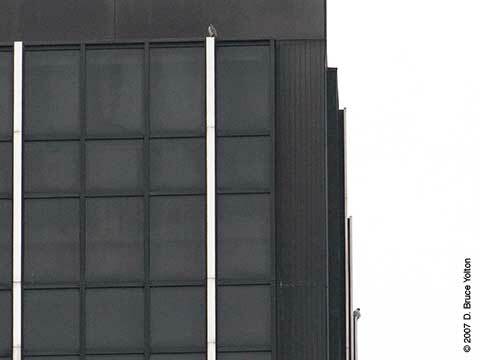 Ben Cacace, who blogs at NYC Nova Hunter, has discovered a pair of Peregrine Falcons who hang around Park Avenue in the upper 40's and lower 50's. Ben's a fantastic birder and I'm so happy he found some Raptors close to my apartment! 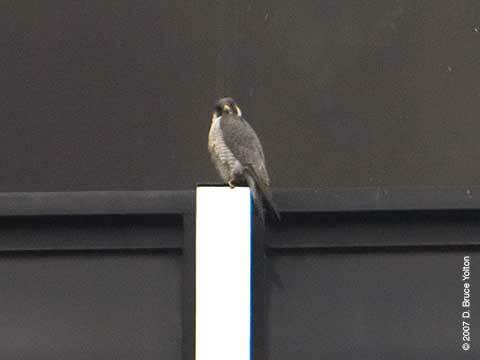 A Peregrine Falcon on 299 Park Avenue, the UBS building, around 6:30 on Saturday evening. 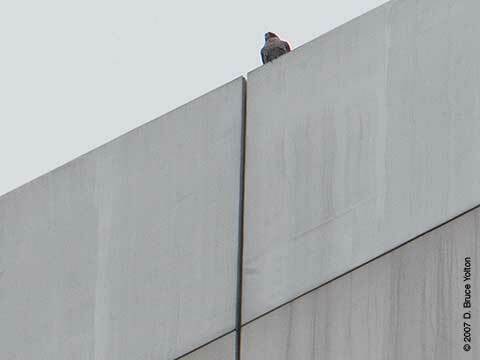 At around 3:10 p.m. the Peregrine Falcon on the east face of 299 Park leaves and begins circling over Park Avenue. 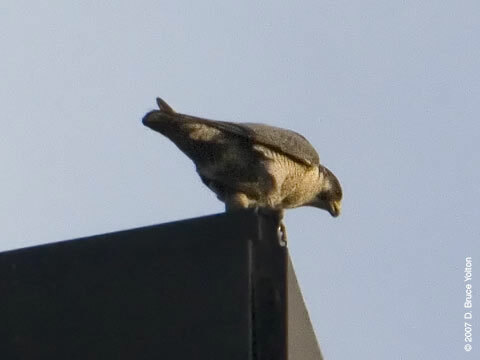 The Peregrine circles to gain height. It circles over the void created by Lever House's lower section, then comes south down Park Avenue, reverses course and flies directly over the Seagram's building. I can't be sure if it landed or went further, so I go to Lexington to investigate. 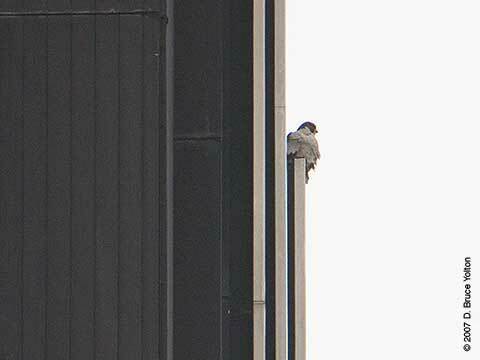 At 3:25 p.m. the Falcon appears from behind the Citicorp building on Lexington, circles the building twice and at 3:28 p.m. lands on the northern top edge of the Citicorp roof. It begins to rain, so I go home.